Have your pet look like a million dollars, without spending a lot, by taking advantage of the Posh Puppy Boutique’s Super Sale. Girl dogs will look even more feminine when you outfit them with one of our couture fashions, like this Designer Silver and Black number from Central Bark Couture. Normally $75, it is on sale right now for only $30, a $45 savings. That should get your dog’s tail wagging. For something more colorful and less formal—but still very stylish—consider this Coming Up Daisies Embroidered Halter Dress, also from Central Bark Couture. Normally $60, this stunning dress is on sale for $45, a $15 (25 percent) savings. Do you hear that howl? That’s your cat telling you to take advantage of our sale on the Sandbox Adjustable Cat Collar in a rainbow design. Normally $29, this collar is on sale for only $5, a $24 savings (about 84 percent off). Treat your dog to a soft warm and relaxing outfit like this Chocolate Brown Polka Dot Print on Pink Dog Hoodie. Normally $50, it is on sale for only $20, a 60 percent savings. It’s available in sizes from triple extra-small to medium. Now may be the height of summer, but it’s also a great time to save on winter pet apparel. Check out these three snow overalls, all normally $108 but now on sale for $45, a 58 percent savings. Choose from black, red or green camo. Each is designed to keep your dog warm in cold weather and are both wind- and waterproof. Take advantage of our smoking hot savings to keep your favorite girl dog warm this winter. Dress her in this Scottish Coat and have her look stunning when the weather turns cold. Best of all, this coat is on sale for $28, literally half its normal price of $56. Don’t miss these and other special savings. They will be gone before you know it and all sales on these few items are final (no returns allowed). Check out our tail waggin’ sale page here or call 888-837-5230. Most of the dog owners get conscious when they bring there dog in public, that it might bite someone. And same kind of worry surrounds you when you hold a party at home, and there are lots of people who are new to your dog. For sure you do not want any of your guests getting injured or bitten by your dog. A dog muzzle is a perfect solution for it. Dog muzzles can be used to avoid such kind of situation. It helps to keep the dog from opening its mouth. Dog muzzles are also used in training violent dogs, and also to prevent them from barking. When appropriately used, it is a helpful tool to teach your dog more socially acceptable behavior. Many dog supply stores sell dog muzzles along with other tools for training, and a veterinarian or dog trainer can teach you how to use a dog muzzle responsibly. There are different styles of dog muzzle, some made from Cordura fabric, which is water resistant and machine washable. These dog muzzles are breathable and a dog can drink water with the muzzle on. And some made up of nylon, which give comfortable fit to the dog. And going behind types, we will find many but we should take the one which best suit our dog. Responsible pet owners do everything they can think of to keep their pets cool and comfortable during these hot summer days. The Posh Puppy Boutique can help since we sell numerous items designed to do just that. The Handi-Drink Mini ($12) combines a 9-ounce squeezable water bottle with a dispenser tray that doubles as a cover. The unit folds into the tray making it easy and comfortable to carry on short trips and longer hauls. It comes in blue, pink and purple. We also sell the Handi-Drink Medium ($13) designed for larger dogs. It includes a 17-ounce water bottle, dispenser tray and cover. It comes in blue, hot pink and lime. Our Krackle Zoo Water Bottle Toy ($12) is an elephant-shaped plush toy designed to hold a 16-18 ounce water bottle. Water bottles, which are not included, can be frozen or warmed, depending on your pet’s needs. It also makes crackling sounds to stimulate you pets. The Dog-Bag Pet Tent ($155) combines a strong pop-up frame with a dog-sized portable crate tent, making it perfect for a day in the park, a short car trip or any other trek. Available in small, medium ($175) and large ($195) sizes, the collapsed tent fits in an included 13.5-inch long, 8-inch wide by 16.5-inch tall backpack. 1. Hawaiian Board Shorts ($29) in red, black or blue. In sizes from double-extra small to extra large, your pooch will outshine all the other dogs. 2. Dog life jackets ($39) in either blue or pink polka dots. Designed to keep your pet safe in the water, they include quick-release buckles, straps at the neck and belly, a D-ring for attaching a leash and a hand strap for quickly grabbing your friend. Their design ensures buoyancy and visibility while keeping them comfortable and warm. Girl dogs will love—and look simply fabulous in—one of our Criss Cross Bikini Dresses ($45), such as this tropical model. They have a slightly scooped neckline and a fully-gathered skirt. Patterns include a pink Hawaiian print, red bow floral, yellow polka dots and stars and stripes. For these and other ideas, visit the Posh Puppy Boutique or call 888-837-5230. Are you ready for some football, with labor peace returning to the NFL and the season getting underway Thursday? Now you can watch your favorite teams battle it out on the gridiron … and have man’s best friend similarly attired. Here at the Posh Puppy Boutique, we have all sorts of NFL-related apparel designed just for dogs. Whether you are a fan of the 2010 World Champion Green Bay Packers, the San Francisco 49ers, the New England Patriots, or almost any other team, we have your pet covered. Check out our selection of officially licensed T-shirts, such as this one for Packers fans ($32), or this one for Arizona Cardinals backers ($32). The gray V-neck shirts feature your team’s name and logo on 100 percent machine-washable cotton. Go with a pre-numbered shirt in your team’s colors for even greater uniformity, such as this New England Patriots jersey ($45). Top off their jersey with a bandana, also in your team colors, like this Dallas Cowboys version ($20), which features a sewn-in loop to slide over your dog’s collar. Add a collar and matching leash to your dog’s ensemble, both in your team’s colors. For example, this New York Giants collar is $28 and the matching leash is $35. Protect your dog’s head on those cold game nights with a knitted dog hat in team colors, such as this Pittsburgh Steelers version ($35) in yellow and black. It has two ear holes for your pooch’s added comfort. We also have this generic brown and white knitted football hat ($25, above) designed for dogs 2-10 pounds. Let your little girl dogs get in the action by giving them a Royal Blue Football hair barrette ($10). It has a small flat plastic football in the center. For even more color, try this Fantasy Football Hair Bow ($10) with a French Clip. While you enjoy your snacks, let your favorite pooch enjoy his or hers in their team colored stainless steel bowl, like this San Francisco 49ers model ($30). For even more team spirit, put your pet's team bowl on a team Pet Mat, like this Oakland Raiders model ($29). When your dog is done eating, let him burn off some energy playing with a soft football pillow toy ($15). Stuffed with eco-friendly recycled fiberfill, it has a poly fleece exterior. 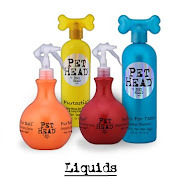 For these and other football-related pet items, visit the Posh Puppy Boutique or call 888-837-5230. Pet owners consider taking their pets—especially small dogs—for a drive this time of year should consider buying three accessories: a travel bag carrier, a portable water dish and a cooling bandana. 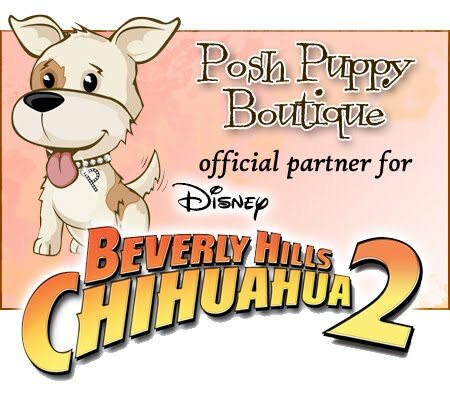 The Posh Puppy Boutique sells several fashionable variations of each. Instead of leaving your dog in a hot car, where soaring temperatures will quickly kill your pet, consider bringing him or her inside with you. Among our newest arrivals are several purse-inspired pet carriers from Kwigy-Bo Alexa. The camouflage model ($140) is approved by most airlines, has side flaps for complete concealment, pleather trim and a removable comfort pad. The Camel model ($180) is made with animal friendly leather and silver hardware. It has inner and outer storage pockets and roll-down side flaps. It is also available in pink, gray and several other colors. All of these carriers show your fine fashion sense while also giving your dog a bird’s eye view of their surroundings. Another version tells everyone you have a special passenger, since the exterior pockets are labeled. However, this fun and funky Brazilian Art Dog Carrier ($375) is made from 100 percent recycled canvas. Dogs also get thirsty even faster than humans, since they exchange heat by panting. Bringing a small collapsible bowl and letting your dog drink is a great way to keep them healthy. The Aqua Bol ($8) folds completely flat is about the size of a credit card and fits in your purse or pocket. It comes in pink, beige and black. The Baybrown Go Everywhere Bowl ($28), with its vibrant Sunbrella colors, is another portable and compact way to give your dog a drink or snack. The Designer Cool-It Cooling Bandana ($8) is filled with non-toxic polymer crystals that absorb up to 30 times their weight in water, keeping your pet cool for hours. Edged with reflective tape, the bandana also adds visibility for those later afternoon or early evening walks. For longer trips, consider bringing the bright pink Food Tote Travel-Tainer ($25) that holds 32 quarts of dry food and comes with two attached 2-cup food bowls connected by a handle. Simply remove the handle, pull off the dishes, twist off the top and pour. For these and other stylish ways to keep your pets safe and healthy, visit the Posh Puppy Boutique or call 888-837-5230. 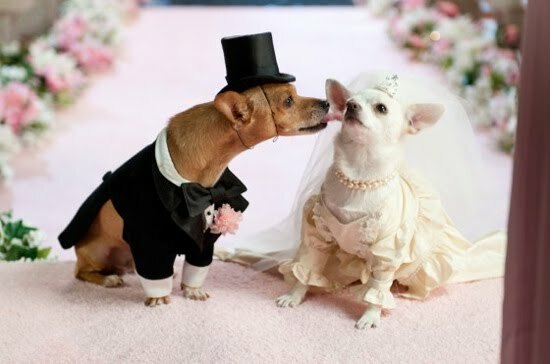 Owners of very small dogs may have problems locating fashionable clothing and accessories for their tiny pets. These owners should check thePosh Puppy Boutique first, since we carry a wide range of items for their precise needs. Whether your pooch is an officially recognized toy breed such as a Chihuahua, Bichon, Pug or a Yorkshire Terrier, an unrecognized “teacup,” or simply the smallest of its litter, the Posh Puppy Boutique has stylish clothing and accessories to meet your demanding needs. For example, this Sailor Pet Dress ($35) is designed and sold in sizes 8 (for tiny Chihuahuas and Pomeranians) to 18, for Corgis and Brittanys. It also comes in Size 10 for Maltese and Yorkies, size 12 for Toy Poodles and Shi Tzu’s, size 14 for Pugs, Bichons and Jack Russells and size 16 for Beagles and Cocker Spaniels. This dress is a blue and white sleeveless design with yellow buttons. This stretchy cotton ribbed tank T-shirt is perfect for its breed: What the Pug ($30) says it all. Lovers might prefer Pugs and Kisses ($30) instead. Bichon owners might prefer to put their favorite pet in a Peace of My Heart ultra-feminine red tie dye tank ($22). Families with Yorkies can play a board game together: Yorkie-opoly ($39) that lets players buy toys for their dogs and upgrade them to Big Bones. It’s family fun for ages 8 and up. We also have similar games for other breeds. Make your little girl Chi stand out in a patriotic crowd by putting her in this Chihuahua USA Tutu Dress ($45) that features a white bodice, red and blue skirt and an image of a Chi in front of a stylized American flag. Life is a Breeze for this Maltese ($26) in terms of this T-shirt that appeared on the Today show. Made with a 50/50 cotton and poly blend, they come in a variety of colors, sizes and designs for different breeds. Feed your small pooch using a handcrafted elevated dog breed feeder ($75), available for 28 breeds such as Terriers. It has two removable 6-inch stainless steel bowls secured with Velcro and breed-specific design. For these and many other ideas, visit the Posh Puppy Boutique or call 888-837-5230. The soft, delicate touch of feathers makes any girl or woman feel more alive. Let your favorite four-legged girl friend experience the sensual pleasure only feathers can provide by giving them a present from the Posh Puppy Boutique. 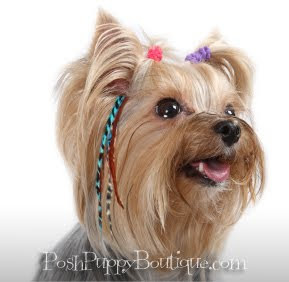 Our Dog Pet Feather Hair Extensions ($20) can be treated lie hair and washed, blow dried and even curled. Made exclusively for pets, they are 3-5 inches long and come complete with a micro link clamp. Color choices—every set includes the classic striped grizzly feathers—are natural, purple, rainbow and turquoise/blue. When taking your pet to a wedding or other fancy occasion, consider outfitting her with a Derby Dog Feather Hat ($85). This mix of lavender chiffon and pink satin fabric includes a purple peacock feather surrounded by pink and purple feathers. A satin bow and rosette add the finishing touches. Slightly less exotic, but no less feminine, are these two ivory Audry Hepburn Hats ($35 each) available with green feathers or orange feathers. Would your pets like to look like stylish French models? If so, the Posh Puppy Boutique has just the headgear for them. Our Plaid Stripe French Beret Hat with Feather ($35) gives your favorite little girl that trendy and chic, handmade from scratch, look. It uses soft black anti-ill fleece with a plaid strip ribbon augmented with red crystals and topped with a black feather. Match her French looks with your boy’s own masculine Funky Feather Dog Beret Hat ($40). Made with soft black fleece, it includes black and pink feathers, hot pink tulle and an adjustable elastic chin strap. The beret features hand-crafted black and white and pink rosette flowers with beaded centers. For something even fuller, consider walking your dog while she wears this Vintage Mint Feather Harness Dog Dress ($125). Made with 100 percent cotton, it has a mint green feather skirt, hot pink silk rosette embellishments and Swarovski crystals. It comes equipped with a “D” ring for easy leash attachment. The ultimate in feather style is this Silver Rosette Feather Harness Dog Dress ($375). Featuring hand-cut silver rosettes, Swarovski crystals are added to each. It also has a soft pink satin bow and a fluffy pink feather skirt with bits of silver tinsel. All of these and many other tres chic pet fashions can be found in one spot: the Posh Puppy Boutique. Call us at 888-837-5230 with any questions.